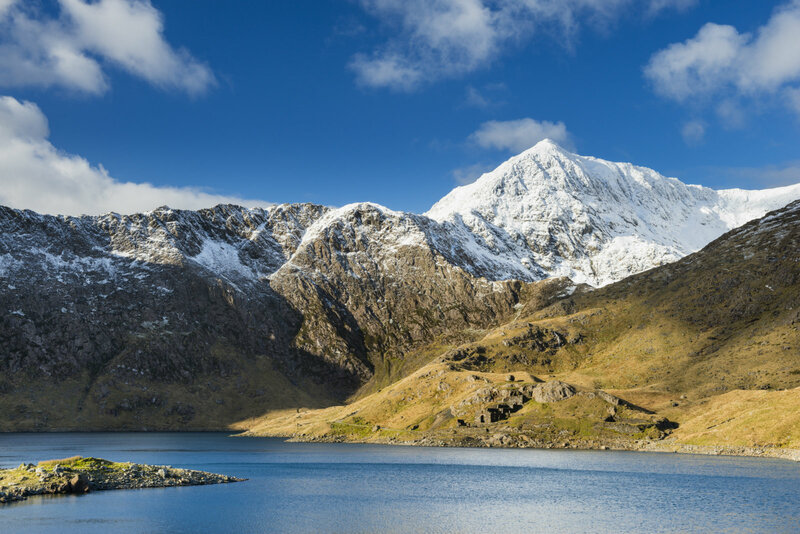 There is nowhere on earth like Snowdonia, which encompasses so many towns and villages in an area so stunning that in recent times, the view from Snowdon (or Yr Wyddfa as us locals call it) was voted Britain’s best. I have to agree; on a clear day, the view from the summit of the gorgeous mountains and lakes just can’t be topped. 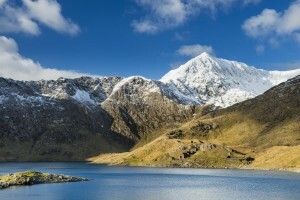 We may be known here for wet weather but thousands still make the pilgrimage to the top of Snowdonia annually, and hope to see Llyn Llydaw, the spectacular Ice Age mountain lake. In addition to the wondrous views, Snowdonia National Park is known for its mountain railway that starts at Llanberis. We catered a party just last week in the village, with friends and family members celebrating a milestone birthday by enjoying our delicious hog roast rolls in the host’s back garden. From Bangor to Hiraethog, and Cardigan Bay to Criccieth, we’ve catered many more places all around the region with our hog and spit roasts, but also with so much more. We offer various menus that can be adapted and we can actually provide a multitude of different foods for your special occasion in Snowdonia – from vol-au- vents to homemade starters and desserts, alternative options for those with dietary requirements and plenty more. 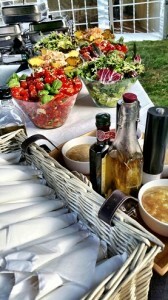 If you have any requests, we will do our utmost to try and ensure it’s added to your own bespoke menu. Just yesterday, we were the caterers for a lovely wedding reception just outside of Caernarfon. The magical venue was an amazing place for the newly-weds to have their photos taken while we finished off the food and the hog rested a little while. The guests, meanwhile, were chomping at the bit to have a taste but a hog roast is only done when it’s done and this beauty needed to be cooked for 7 hours until perfectly crispy on the outside and moist on the inside. The bride and groom asked us to welcome their guests with glasses of bubbly and tasty canapés, then after the toasts, we served a sit-down starter and the queues would then start for the hog roast served buffet-style together with vegetables, potatoes, and our homemade trio of onion gravy, stuffing and apple sauce. We were inundated with Snowdonians complimenting us on the gorgeous food and booking us for future events. Our beautiful Wales has a lot to offer in terms of food but if you need caterers, The Spitting Pig will go the extra mile to ensure your event is a great success.